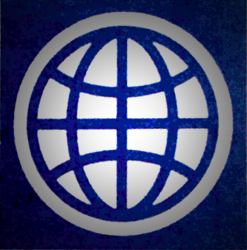 The World Bank Group is consulting and seeking input about World Bank operations in Africa. The series of public consultations is focusing on how to improve World Bank operations in Africa and is expected to be completed in January 2011. The aim of this consultative process is to raise awareness about opportunities and challenges facing Africa and to gather a diverse perspective about the Bank’s operations there. The global economic crisis coupled with changes in Africa’s political and socioeconomic landscape has made it necessary to revise World Bank operations in Africa. The consultation has two phases, with the first phase running from May 2010 to June 2010. During this, input can be received in face–to–face meetings, through video conferences and in electronic form. A summary draft will be issued in August 2010. The second phase runs from September 2010 to October 2010 where public comments on the draft strategy can be made electronically. 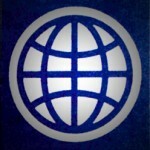 Finally in November 2010, World Bank executive directors will discuss the strategy, with final publication of the World Bank Africa Action Plan scheduled for January 2011. What do you see as Africa’s development challenges and what role do you see the World Bank playing in supporting African countries, especially post-conflict and fragile states, to build more resilient and globally competitive economies in the 21st century? How can the World Bank help build skills for African workers, promote job creation, especially for young people in post-conflict and fragile states, and empower African women to create and run successful businesses? What do you think the World Bank should do to improve intra-African trade, foster regional solutions especially for infrastructure such as energy, while ensuring that climate change issues are taken into account and Africa’s competitiveness with the rest of the world is improved? How can the World Bank foster social protection mechanisms that protect the most vulnerable Africans from economic and health shocks (HIV/AIDS, malaria, maternal mortality, road accidents, etc.)? What can the World Bank do to boost demand by citizens, by journalists, media outlets and civil society organizations for good governance and accountability? What other suggestions or comments do you have?